I had the honor of being featured in a TimesUnion article written by Deanna Fox. Please give the article a read, it is a great insight on my goals and insight for Nut Zez. Amanda Zezima can’t remember a time when having diabetes wasn’t a guiding consideration in her life. She was diagnosed with Type 1 diabetes at age 3 and kept it a secret from many people in her life, fearing it would stigmatize her, although her mother quickly changed the family’s eating habits and made sure sugar-free treats were available for Zezima at special occasions. Living with diabetes shaped her life in a significant way, leading her to found Nut-Zez, a Cohoes-based nut butter company focused on health. Zezima, a Ronkonkoma, Long Island, native who attended the College of Saint Rose, now works as a school psychologist and behavioral specialist in the Schenectady City School District. While in graduate school, Zezima worked as a personal trainer and began competing in bodybuilding events. Though she won her first competition in 2014, the dietary rigor required to compete threw her diabetes into flux. Most bodybuilders, says Zezima, will remove high-calorie foods like fats and carbohydrates from their diets to create a leaner physique. Fats help to stabilize blood sugars, something Zezima learned the hard way. She began a search for an option high in fat and protein and low in carbohydrates. The solution? Almonds, and primarily almond butter. Almonds contain high amounts of monounsaturated fat, which aids in nutrient absorption and blood sugar regulation and are price-competitive with other nuts. 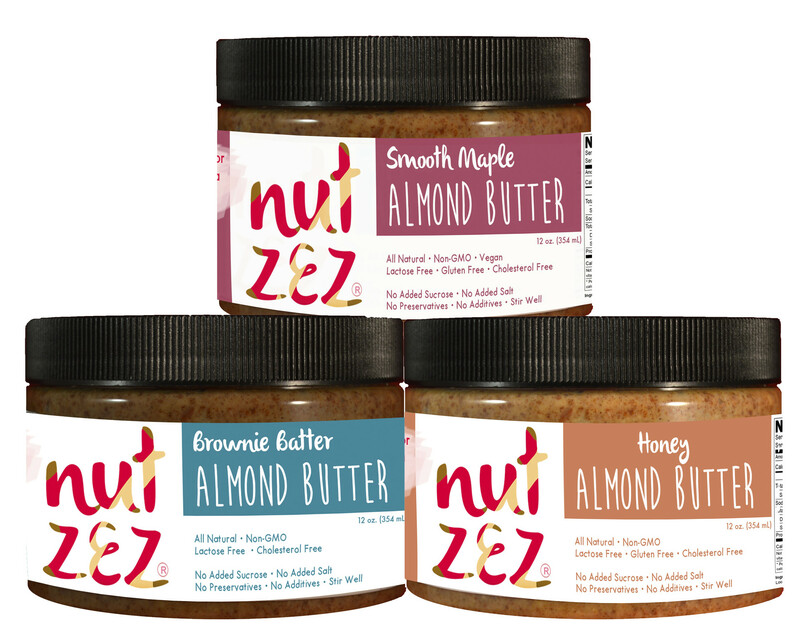 Zezima started to make almond butter four jars at a time in a home food processor, experimenting with flavors and added protein, when store-bought varieties contained too much sugar and salt for her. She shared her creation with her personal training clients, who encouraged her to commercialize it. 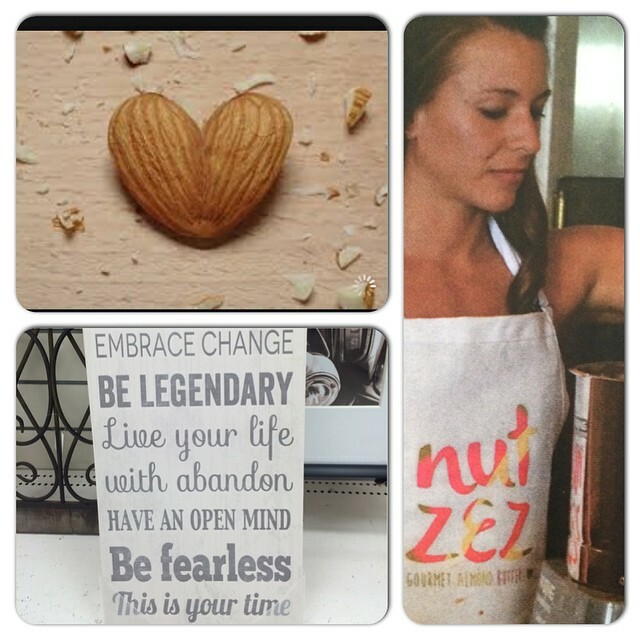 In 2014, she started selling her product under the Nut-Zez name in 50-jar batches at her gym and health expos. By the end of the year, she had her own commercial space on Remsen Street in Cohoes and was at area farmers markets, local food co-ops (Niskayuna, Honest Weight, Glens Falls), Whole Foods and five Hannaford locations. 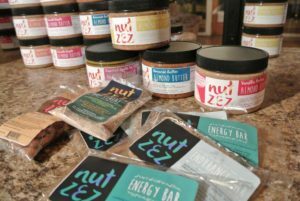 Different from other brands, Nut-Zez products are free of hidden additives, refined sugars, supplemental oil, GMOs, preservatives and salt. The Crunchy French Toast almond butter with added protein lists dry roasted almonds, whey protein isolate, cinnamon and organic agave nectar as its only ingredients. Local honey from B’s Honey in Watervliet is incorporated in some recipes for seasonal allergy relief, and maple syrup comes from a single small producer in Malone, Franklin County. The company currently makes 13 varieties of almond butter and one pecan butter. “One of my visions for this is not only turning almonds into butter, but promote the healthy benefits of almonds in general. Figuring out how we can bring almond meal, almond flour, almond skin and all these other almond forms into food. The hidden benefits of our products are huge. 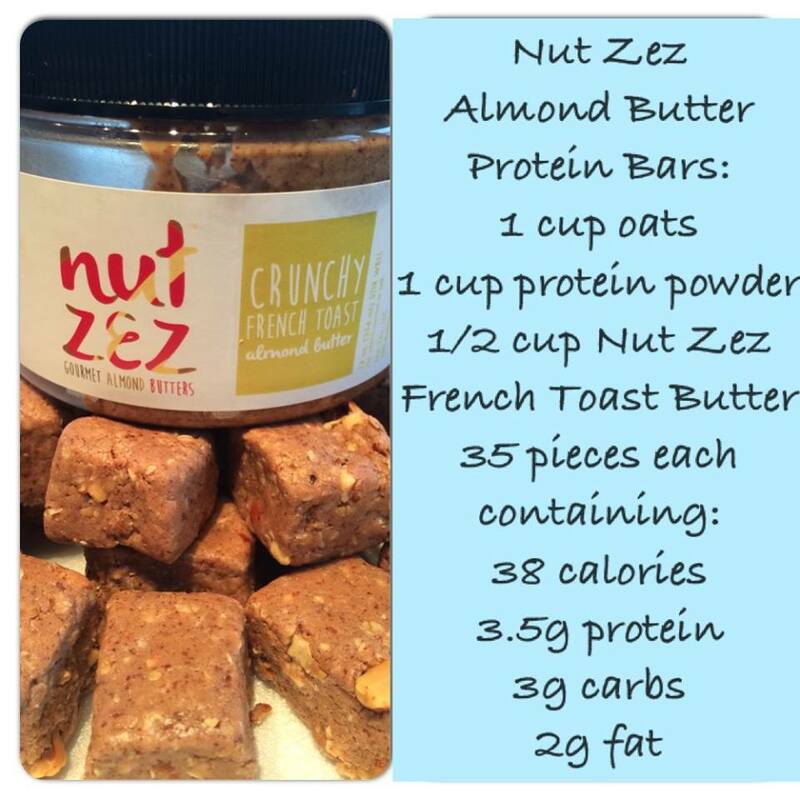 I want this to be an almond company with a health kick, though the butter will always be our trademark,” says Zezima. Nut-Zez now offers hot cereal mixes and endurance and energy bars with almond butter, flaxseed, chia seeds and oats. Nut-Zez is also exploring the new ways almond butter can benefit the body by shipping almond butter-based truffle balls to a medical marijuana company in Connecticut. The company infused the drug into Nut-Zez’s products and sells them to licensed dispensaries. “Food has a pharmaceutical healing benefit to it,” says Zezima, and the slowly digested almonds in her products offer a controlled release of marijuana’s medicinal ingredients. The end of 2016 marked the 10,000 jar mark for Nut-Zez, each 12-ounce jar containing a pound of almonds. The company will soon move to the kitchen at Cohoes Music Hall, and Zezima is looking forward to continued success for her company. Deanna Fox is a freelance food and agriculture writer. www.foxonfood.com @DeannaNFox. Posted on January 23, 2017 by Amanda Zezima. This entry was posted in journey, Journey and tagged almond butter, clean snack, fit snack, gourmet almond butter, healthy fats, heart healthy. Bookmark the permalink.